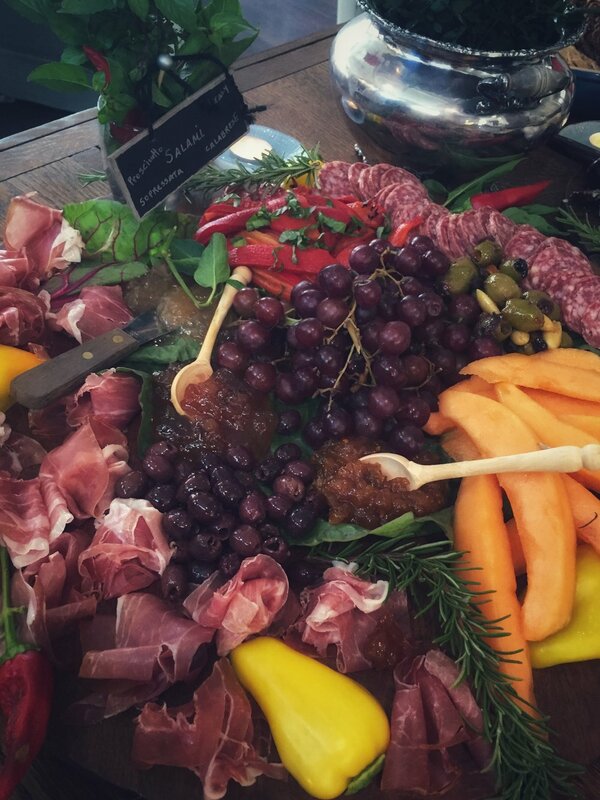 Charcuterie - Eat, Love, Party! This Sicilian, French and Celtic girl is a huge fan of dried meats, cheeses, olives, bread and wine! What better way to get all of these bites on one plate than from a charcuterie board! Using the important foundation of keeping it simple, smoky, spicy, and spreadable – you’ll learn how to make these three stunning and scrumptious boards for the holiday entertaining ahead: Ploughman’s Platter (Scotland), Charcuterie (France), and Antipasti (Italy). We’ll pair a wine with each board, introduce you to some of the best foodie items I’ve found on my travels in Scotland, France and Italy to take your charcuterie spreads to the next level. There will be a mini Pop Up Shop, so you can take home items for your holiday entertaining from boards, spreads, meats, cheeses and more! Note: You'll be able to make purchases at the Pop Up Shop with credit or debit card, cash, Google Pay or Apple Pay. 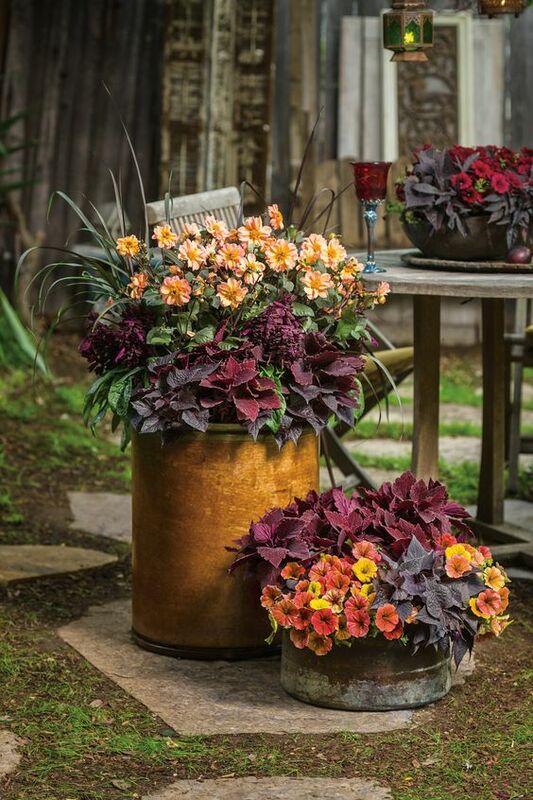 I'll teach you how to use a winning combination to bring the colors of fall to your front porch, patio or pool deck containers. We'll use flowers, herbs and vegetables in saturated hues and eye catching textures to create a fall “Hudson Valley” look for our Valley of the Sun surroundings. You’ll make and take home a pot of your own in a light weight eco-friendly container to enjoy through fall and well into Thanksgiving! Join us at our little garden by the lake for the “Goddess Gang Garden Day” of organic gardening learning and shopping! Find out Leslie’s Top 10 Picks for Fall Planting at a FREE 30-minute short course offered at 10:00 am then repeated again at 1:00 pm, featuring heirloom, native and prolific performers from her favorite growers and seed companies in the U.S. as well as some beloved varieties from France, Italy and Scotland. Register to let me know you are coming. No fee to attend the class or shop – just your happy shining face will do! You'll be able to make purchases at the Pop Up Shop with credit or debit card, cash, Google Pay or Apple Pay. Note: This class will cover the topic of plants only. 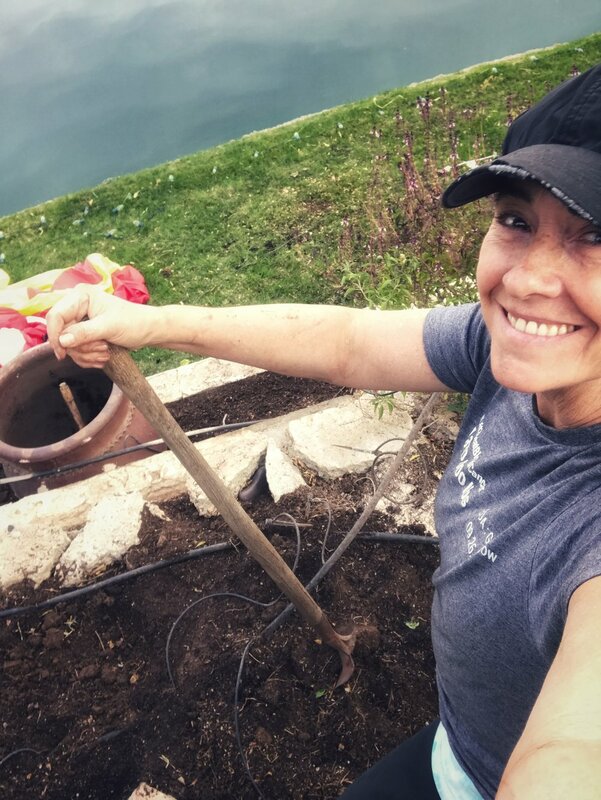 To learn how to prepare your soil and plot your fall garden success, join Leslie at her organic gardening classes at The Farm at South Mountain on Sep 29 and Oct 14. If you want to grow an organic garden, now is the time to get your soil ready for Fall gardening. 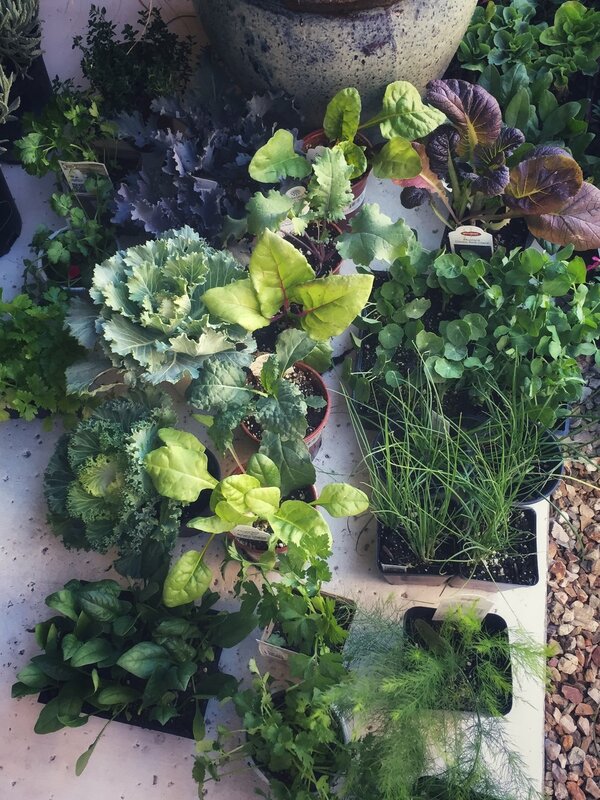 The secret to growing healthy beautiful gardens in the ground or in containers starts with the soil! 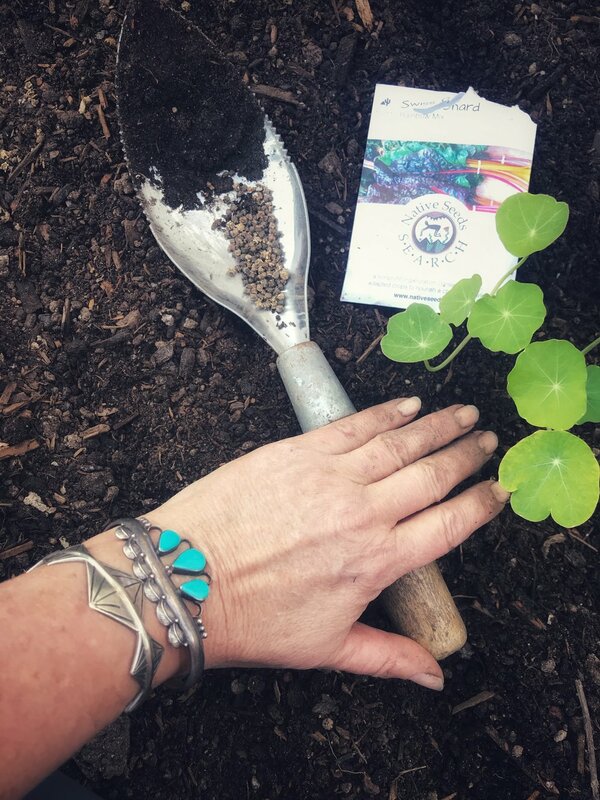 Join us to go underground as you learn how to prepare nutrient rich organic soil for pots and in the ground to make plant pleasing homes for cool season flowers, herbs, and vegetables. You’ll learn our secret soil recipes, tips, and tricks to get you growing. Don't miss out on this very important first step! I promise, there is a way to move away from the constant stress of the day to bring bliss and a glow back into your life. It doesn't take hours . . . JUST MINUTES! 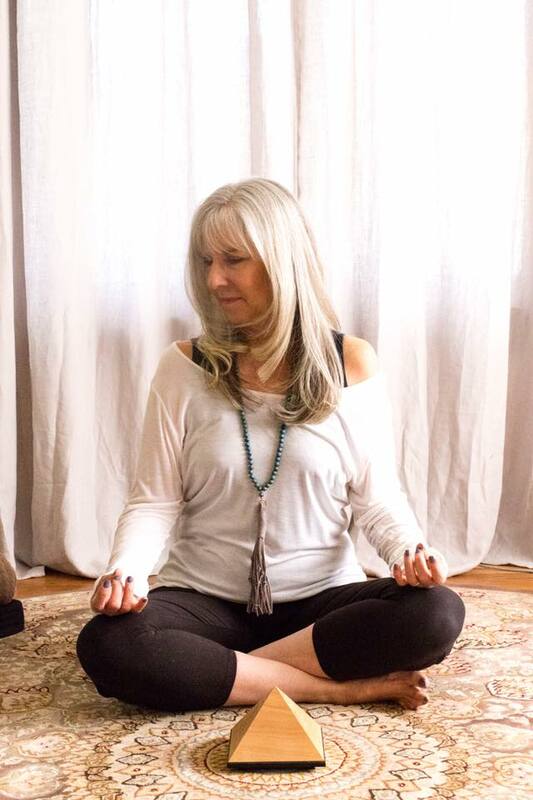 Come join Leslie at The Farm at South Mountain to learn simple, new, soul satisfying ways to help you move through your day from sunrise to sunset. From soothing morning rituals, to breath work breaks, and zenful practices to calm down before your head hits the pillow, you'll leave with the tools to learn how to break free from the stress strangle hold that makes life not so great. Find out how beautiful, bountiful and blissful you really are. To energize your new life – you’ll take home a Lauren Brooks Life "Bliss Box"! February is the month of love, but what about setting aside time just for you! You are invited to come and be part of the Lauren Brooks Life “Goddess Gang” and hang at my little haus by the lake to enjoy a night of fun and self-indulgence! Join Goddess of Fab Skin, Tyla Tingle, and me to learn how to get your skin glowing again, radiate bliss with grace and mindfulness, restore your health with food, and rejuvenate with aromatherapy. You’ll stuff your Goddess Gang bag with organic body care products that you made, yummy vegetarian recipes that are tasty and good for you too as well as tips and tools to keep the self-love glow going all year long! Includes welcome sparkling drinks and nibbles, hands-on instruction with handout, three personalized organic body care products, a goddess gang tote bag, resource guide and class playlist. The last of the Super Moons will be rising just as you arrive for this gathering at my little haus by the lake. You won’t want to miss this incredible evening to celebrate, meditate and participate! We will be celebrating a woman’s spiritual relationship to the moon with special guest Patricia Federico, Curandera and healing arts practitioner. 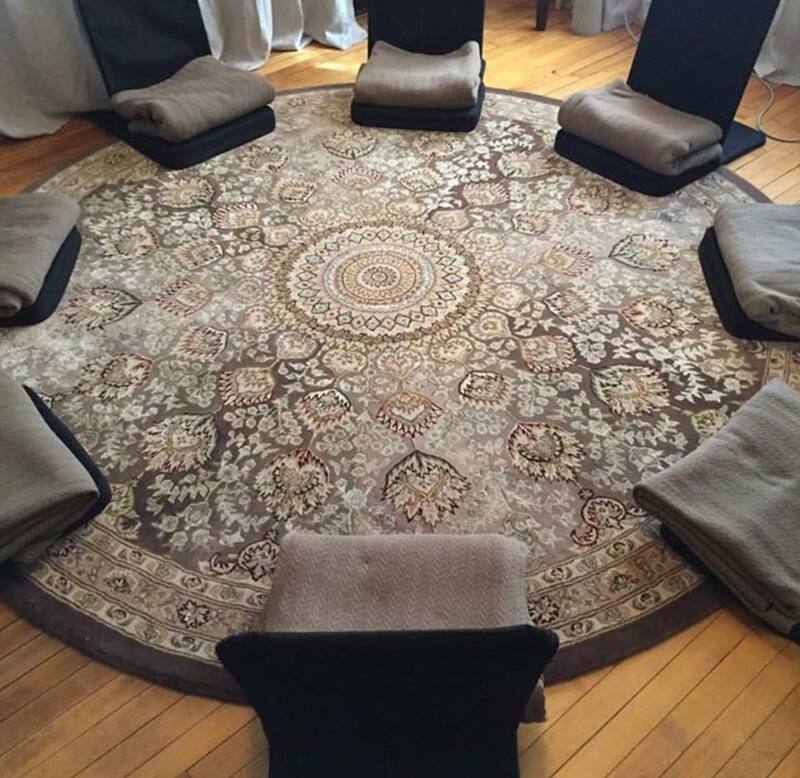 Patricia will guide us through a sacred ceremony, we’ll make malas to energize under the full super moon then end with a beautiful meditation session to leave you uplifted, connected and ready for the New Year! Includes warming drinks and sweet treats, personalized mala making supplies with hands-on instruction and class playlist.